I am a graduate of Lincoln School of Law, and I have been practicing law as a member of the California State Bar since 2008. My practice is dedicated to estate planning and probate. I assist individuals and families to establish wills, trusts, durable powers of attorney and health care directives. 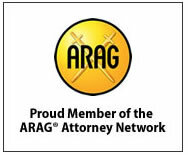 I am also available to review your current documents, and to assist with probate and trust administration. After working for three years in a law firm, I started my own practice in November 2013. I am a conscientious attorney who prides herself on providing valuable service to her clients. I am passionate in my quest to ensure people have the proper estate planning documents in place which will live into the future. My goal is to help my clients solve problems in the most efficient and cost effective manner. 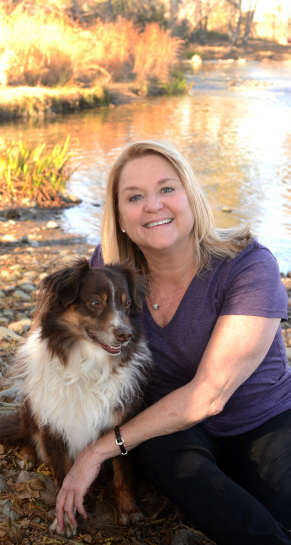 A native of Sacramento, I am an active volunteer with organizations including the American River Parkway Foundation and the Placer SPCA, My passion for animals lead to my relationship with the Placer SPCA. The American River Parkway has been a major part of my life for many years. In the 1990s the parkway was my favorite place for triathlon training. After embarking on a law degree, the parkway became my favorite place to study and to find serenity in the midst of my busy schedule. All of the wonderful hours spent on the parkway instilled a desire to volunteer time in support of the American River Parkway Foundation. Click the "READ MORE" button below to learn more about my commitment to the Placer SPCA and the American River Parkway Foundation, along with my involvement with other organizations in Sacramento and Placer counties. Acting as a knowledgeable and realistic guide with compassion, I assist families and individuals to plan accordingly to assure their wealth passes easily to their loved ones thereby avoiding the probate process. The guidance I offer to my clients includes their beloved pets and their charitable interests. My goal is to counsel clients so they are educated and prepared to assure their wishes are clear and honored, and their loved ones will have the information needed during stressful and challenging events that may arise. Part of my philanthropic mission is to share my knowledge with like minded people and help them to leave a legacy that honors their contributions to the community. I support several charitable organizations in our community in various ways, monetarily, in kind legal services, volunteering, sponsoring and donating time/gifts. Please contact me if you would like to discuss how you can make a difference in your community. It doesn't take large sums of money to make an impact. We would like to express our deepest appreciation to you for helping us complete our Will and Trust. Your professionalism and expertise did not go unnoticed. Your delivery was quick and you made a very complicated process seem simple when we know first hand that it is not. We will be recommending you in the future! Let us know where we can enter a review about your services, and give your Aussie a hung from us! – Pete and Patti L.
"Colleen is professional and knowledgeable about trusts and related issues. She helped us update our living trust as well as helped us navigate the closure of the estate of a relative who had no trust in place. We will absolutely seek her counsel in the future as the needs arise." "I met Colleen Watters at a workshop for a group of people that were interested in hearing about the benefits of drawing up a trust and will. Colleen was wonderful at explaining the benefits of both wills and trusts and the differences between them. Also she explained the benefits of having a medical durable power of attorney that spelled out your wishes at the end of your life. Colleen also explained what happens if you die intestate and the courts need to figure out what happens to your estate. Since I am a single senior citizen with no close family I decided to go ahead and commission Colleen to draw up these documents for me. I wanted no problems after I pass away for my inheritors to deal with. I met with Colleen at her office and she went over the process of drawing up my trust and will with me. She asked me what my wishes were and where and to who I wanted my estate to go to. I was amazed as to how knowledgeable Colleen is and how she was able to have all of my wishes down on paper in short order. The next time that we met we signed all of the documents and gave them to me. I can’t tell you how much more comfortable I am knowing that my will and trust are up to date and there will be no problems for my family when I snuff it. Colleen always makes you feel comfortable with her. She talks with you as if you are a friend and not a client. Colleen told me if I have any questions in the future about my will or need to make changes it is an easy thing to do and she can take care of it. Thank You again Colleen, you made me more comfortable with my life today." "Colleen is gracious, knowledgeable, friendly and practical. We trust her a lot and appreciate her extra efforts. We did look at another law firm, but were not comfortable with it. We are so glad that we found Colleen Watters, and plan to trust her with our future legal needs." – Janet & Dennis T.
​"Colleen spoke to our Rotary Club about the importance of estate planning, and how a good plan is important financial and personal planning. She took the mystery out of the process and made it an easily understandable necessity." Colleen made the entire process of planning for our will/living trust straightforward and easy. It can be a daunting and overwhelming process but with Colleen it's a breeze! Highly recommend! Knowledgeable, efficient, accommodating, prompt and professional. Estate planning demystified. Especially for over busy people like me who never seem to get around to it! "The Law Office of Colleen Watters is great. We have had her do several things for us and she is efficient, competent and knowledgeable. We would definitely recommend her." – George and Bonnie N.
"Dear Ms. Watters: The Ross family would like to 'Thank You' for all of your help in settling our mother's estate. You handled everything in a very timely manner and at a reasonable cost to the family. Thank you for making a really hard time easier to handle." "Those of us in rescue spend so much time saving and caring for others, the thought of our own mortality rarely crosses our minds. Providing for our own pets, should the unthinkable happen, is a subject every pet owner should discuss. Colleen's presentation was informative, fun, and truly eye opening!"